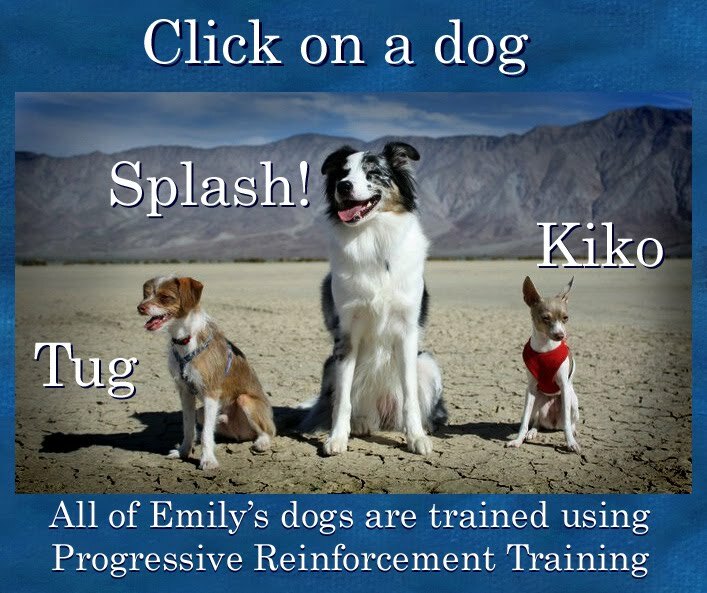 Dogmantics Dog Training Blog: Beginner Dog Training Videos! Here is the first video in the series: How to charge the clicker and muffle it so that it is not too loud. If you can't or don't want to use a clicker this is a video of how to use the same tutorials without using a clicker yourself! We love your blog and give you the Pawsome Blogger Award ! Baïka the swiss cavalier ! In my dog training experience, I have found several tools that are extremely helpful, one of which is this link I will post here. Wanted to share with you all, this is a great tool. I live out in the country and neighbor dogs are always coming into my yard. I don't have a fence and I have been studying your videos on clicker training and I am ready for a dog, but am concerned about neighbor dogs visiting my yard. I know they will excite any dog I bring home and am wondering how you suggest handling this problem. I have already called the police for the people to keep their dogs on their own property but it didn't work. Thank you so much and thanks for all your wonderful videos. Dear Kikopup, I would like to thank you SO MUCH for these training videos! I applaud you for sharing it with the world! I truly think that by having this type of information open to the public more people (new and old pet owners) will learn other ways of treating and teaching your pets good manners. I arrived yesterday to my first obedience training for puppies. I got scared seeing my Jack Russel in the middle of boxers and dobermans. Finally, all is going well. The dogs are trained at their own pace and according to their own nature! The timing has a great role in your success. Praise him as soon as he shows some good behavior. Likewise, scold him for each of his bad behavior. I just love your blog and your videos! I have learned so much by watching you train your dogs and you have inspired. Thank you! I really like the content of this blog. you are just doing outstanding work. Thanks for the post. Between these tips and the program for Dog trainers Baton Rouge, AZ that my dog attend, he is now perfectly behaved inside.